A sturdy concrete foundation is paramount to the stability of your home. Foundations support the weight of your humble abode’s structure by transferring its load to the soil beneath. Well-built ones also keep your home’s structure intact during inclement weather and other calamities (e.g., floods, earthquakes, and landslides). Years of wear and tear, however, take their toll on even the strongest concrete foundation. 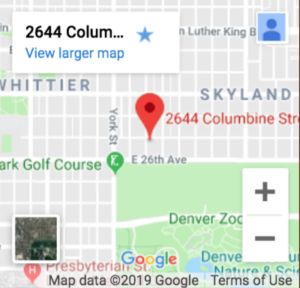 This is where home foundation repair in Denver becomes an immediate necessity. 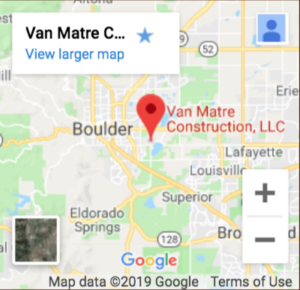 Van Matre Construction, LLC is your local foundation repair expert. Our years of experience in the industry combined with our quality work have made us one of Denver’s preferred foundation contractors. Find out why we’re a trusted provider of Denver foundation solutions. Several foundation problems arise over the lifespan of your home’s structure. In addition to issues involving the concrete’s strength, other factors like excessive moisture and soil composition can come into play. In some cases, the manner of pouring can also be a cause for concern. Denver’s semi-arid condition brings only eight to 15 inches of rain annually; locals enjoy more than 300 days of sunshine each year. Foundations of residential structures, however, have a love-hate relationship with the sunny weather, especially during the summer. The lack of water in this dry region can cause the soil to contract, resulting in cracks and a slight movement in your home’s foundation. The slab moves and shifts positions, which means that the resettling foundations will develop fissures. The shift makes gaps around windows more evident, doors more difficult to close, and the growing cracks to compromise your home’s structure. Winters in Denver are usually comfortable, but when the climate gets colder than usual, it poses a problem for freshly poured foundations. This type of foundation can actually freeze in very cold temperatures. Frozen foundation causes issues like sandy and dusty grit, which comes off the top of the concrete. This reduces your foundation’s strength. Older homes have more foundation cracks because of the years of wear and tear. Most of the time, these cracks do not indicate larger problems; homeowners fix them for cosmetic reasons. In newer structures, however, these pose a problem. Cracks are a sign of your structure’s unstable foundation. Failure to address them immediately may result in more serious problems in the future. Colorado’s soil is a mixture of three texture types: clay, silt, and sand. Clay is slow to absorb water, but silt and sand absorb easily and retain more moisture. As the seasons change, so will the movement of your soil. Over time, it can move up and down, and back and forth. Large volumes of water can compromise your structure by weakening the foundation and causing them to sink. Some of these problems are easy to fix. But when the problem is too big for a do-it-yourself job, call in the experts: Van Matre Construction, LLC. Prep for the job - Our contractors lay down tarps prior to repairs to reduce the mess. Dig holes around the foundation - We dig holes around the perimeter of the foundation or (in case of interior piers) underneath the house. Lift the foundation - Our contractors will slowly lift the structure using hydraulic jacks and make sure your house is positioned on top of the foundation piers. We may also install steel shims for the sake of stability. Cover the holes - We fill all the holes under or around your foundation with soil. Cleanup after project completion - The final step involves the removal of debris and tarps, as well as the replanting of vegetation. After the project, we restore your interior or exterior to its original state. Why should you choose us out of all the other providers of foundation repair solutions in Denver? An Experienced Team - Structural repair work requires the hand of an expert. Our professional engineers ensure that every job we do is accurate down to the last detail. Fully Insured and Licensed -Our license and insurance includes general liability, worker’s compensation, and completed operations. We make sure we have all the necessary permits to ensure your protection. 100% Guarantee - We give our all on every job we do. We write down all the details of the job, so you’ll know what will happen to your property. Your home is valuable to us; if you have any issues or concerns, don’t hesitate to get in touch with us. When it comes to foundation repair companies in Denver, we are one of the names you can trust. Browse our range of services or get in touch with us today to learn how we can fix your foundation in the best way possible.